Sistem Binario is a project of the curator team Adriana Rispoli and Eugenio Viola realized in Naples at the Mergellina train station and a near by metro station of Naples's subway. The exhibition was realized as a part of the program of the XIV edition of the manifestation Maggio dei Monumenti which explores the influences and the development of art in culture in Naples churches and fortresses. 20 young artists of the Campagna region were invited to create site specific works, especially envisioned for a specific space, which would problematize the space of the station as one of the key toponyms of every city. Belgrade version of the site specific project Sistem Binario includes 10 Italian (curators Adriana Rispoli and Eugenio Viola) and 7 Serbian artists (curator Saša Janjić) which would realize their works, installations during July at the main train station in Belgrade. The project is founded on the idea that stations, the same as the fortresses, can be treated as ‘non-spaces’ as defined by Marc Augé, typical product of our civilization and modern society, which equally includes historical and non historical locations. Stations are places charged with energy, filled with curiosity which is directed towards the exploration and the feeling of present time, considering the fact that those are usually the starting points of millions of people which are trying to get to know a certain culture and society. They are also some of the most representative objects of our time, marked by ‘constant inconsistency’, by nomadism of contemporary world, by transition, but also by the zero point in which one world disappears and another one opens. The works of the artists, which will be specifically designed considering the architecture and space of the Belgrade train station, will focus on provocation, reactions of the ‘accidental’ audience. This interaction will deepen the questions about the relation of art and territory, constant flow, mental and physical ‘passing’ and cross passing, turning one place into a laboratory of ideas, dialog about shapes, color, light, feelings and sensations. The works would be set in the open space of the station, as well as in all closed public spaces (waiting rooms, ticket offices, restaurants, shops) thus become integral parts of the object itself. Because of the specific character of the station, they would live 24 hours a day, 7 days a week, realizing complete interaction and integration with the facility and the visitors. 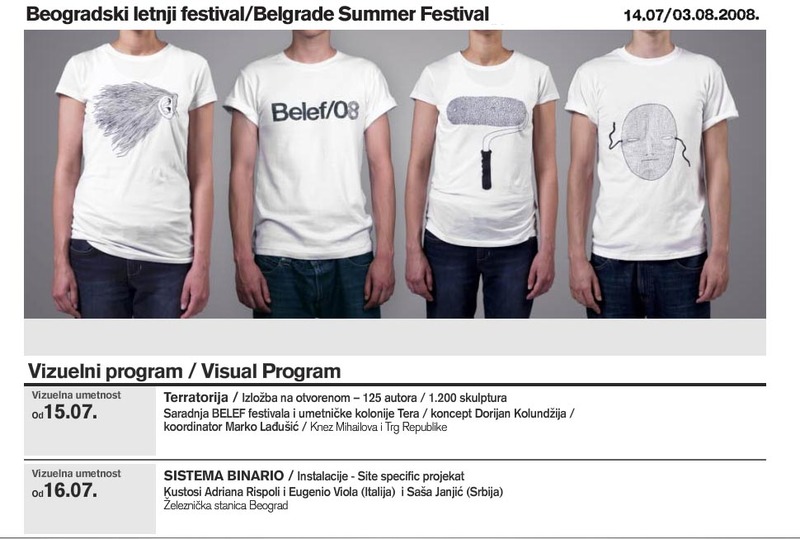 Since during the summer, especially during July when the EXIT festival takes place, Belgrade train station and the surrounding space are over flown with young tourists, but also the thousands of people that are taking vacations, we believe that this project will, among other things, contribute to the creation of a better image and first impression about our city. We would also like to point out poorly used historical and artistic aspect of the train station, and turn it into an informal gallery which will, thanks to its character and nature of its function, break the stereotypes about the nature of contemporary artistic production, and bring the contemporary art closer to regular citizens.